“Education is the most powerful weapon which you can use to change the world.” This phrase of Nelson Mandela expresses the importance of education in the learning process of human beings, and thus in the formation of their ideas and thoughts, which then are reflected in their actions, which impacts the lifestyle of a society, and consequently the way of being of the world. Today I want to share with my readers an issue that has been relegated to the fringe in many international agendas, but that is of fundamental importance in producing a change in the current state of the world, convulsed by the violence generated by the lack of values in which mankind lives. I refer to “the power of education”. At present, mankind faces a crisis of values which has unleashed extreme manifestations of violence, the loss of respect for life and human dignity, and the lack of sensitivity and solidarity with fellow man. Such insensitivity and intolerance leads us to think and re-think the learning process to which our children and young people are exposed, which in many countries spend more than seven hours a day in school, receiving a wealth of information about different disciplines and skills. It’s the intensity and frequency of this formation process, that gives us the certainty that education, whether public or private, plays a determining role in the formation of the skills and abilities of human beings, but also in the formation of the individual and collective conscience. Even though today basic education exists free of charge, widely available by most of the population, and a proliferation of prestigious/ high level educational centers where children and young people acquire a greater understanding, information and technology; paradoxically we see how the levels of criminal activity and inhumanity have risen. By the violence that the actual world displays, it would seem that while we are more aware of wrongdoing, and its consequences, the more we approach it. Against this background of irrationality and intolerance, one might well ask: Has the current educational system failed, or has it become obsolete for our time? The current educational system was designed for a different era than ours; an era marked by the Industrial Revolution, prior to the middle of the XVIII century a public and free of charge educational system did not exist; up to that point education was confined to the privileged few. After the Obscurantism era, what is now known as the “educational model” was imperceptibly adopted, substantiated under the ideological guidance of the economic system, the social customs, and the religion of each country or continent. The current Education has been characterized by the indoctrination of socially accepted ideas, and the imposition of certain points of views and ideals, that respond to those economic and social interests, which are then reinforced by the message conveyed by the media. But the most troubling part of the educative utilitarianism, is that the education in schools and universities has focused on the simple transmission of knowledge, a neutral teaching. Nevertheless, history has shown us that education as a simple knowledge transfer is insufficient, because we have seen many cases against mankind and genocides perpetrated by intelligent and academically prepared massive murderers. We have also been witness to acts of corruption in the world, massacres and injustices committed by well educated leaders. History shows prominent professionals conducting discrimination, intolerance, and violence against different minority groups composed by people considered “different”. The global news is constantly showing us young people trained in the best universities and in the most important think tanks, involved in acts of vandalism produced by hate, discrimination and intolerance. We can also educate for peace: for the formation of people that harmonically and pacifically coexist, in the midst of ideological, political, economic, religious and cultural differences. What should the objective of the education system be? The education model that I propose should be integrated and holistic for the complete development of the human being, and their harmonious interrelation with mankind. The learning process is also a training process. As such, it must offer alternatives to the individual, the family and community, to harmonize and balance its existence and reaching peace; inner peace, that will later reflect in a life of respectful relationships with others. Education should be a continuous process for the integral self-improvement of the human being. The objective of human beings is reaching happiness, however their is no happiness without peace. There is no peace in a nation if human rights of its citizens are not respected. To live in a society where human rights are respected, people need to be educated to that end. Education must have as its objective to shape integral human beings that in their daily transfer contribute to the construction of a peaceful culture in society and in the world. In education is the seed of good and evil: We educate for peace or for war, for good or for evil. Education for peace requires four main actors: the person, their parents, their teachers, and their political leaders. Then it is important to ask: Where has the error been in the education model? Given the above, it shows us that to shape people that are more humane that contribute to the construction of peace, a new education system is required: Education of the XXI Century for the Peace of the Integral Human Being and of Nations. A mechanism exists, a diagram that must be followed, and in that process human beings are the axis and primary actor. In my view, the current education model has forgotten that man is triune, that is composed of body, spirit, and soul: and when I speak of soul I am referring to the human beings heart, where the seed of good and evil is sown, where positive and negative stimuli are placed, that are then projected in actions that form habits and mold our character. The person is formed by three components, mutually interconnected. Without one of them the human being wouldn’t be complete. So far, the focus of education has been in forming the intellect, reason, and even in learning, molding, and strengthening the body. However, in that educational process the most important part has been overlooked: educating in the heart. In daily societal life, human beings, through the body senses, ears, eyes, smell, taste and touch, have been exposed to negative messages and stimulus surrounding them. And through the channels of the spirit, such as imagination, affect, reason, memory and conscience, has imposed a series of anti-values such as intolerance, discrimination originated for different reasons, hate, insensitivity, prejudice, lack of love to fellow man, and respect for human dignity and life. It is in the heart, in the soul, that a person has the freedom to choose, based on the lesson received through education. Human beings have free will to choose what they will assume as their beliefs, values, and principles, and to project them through their actions. In the human being the expression of their personality, and their way being starts from within. If what the human being perceives through their senses and introjects in their spirit, are negative teachings, that is what they will bring about through their actions. This is why we see violent, intolerant, conflictive people, without respect for fellow man or life. It is in this sense that an education fundamented in universal values and constitutional principles, geared to respecting fellow man, will be instrumental for the harmonious life and happiness in an equal, inclusive, just and peaceful society. 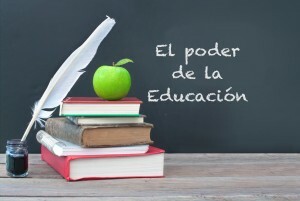 In this 21st century, specialists in education must initiate the job of discerning through lessons of experience, and propose the design of an educational system that has fulfilled the necessary conditions and qualifications to be the model to follow. That which in addition to adequately shaping citizens in skills and competencies educates them for peace, because until now we have occupied education as the method of transmitting knowledge and we have seen peace as a desire and not as what it is: a necessity. This entry was posted in Artículos and tagged alma, body, corazón, cuerpo, educación, educar, educate, education, espíritu, heart, human being, modelo, paz, peace, poder, power, ser humano, soul, spirit, valores, William Soto Santiago. Bookmark the permalink.